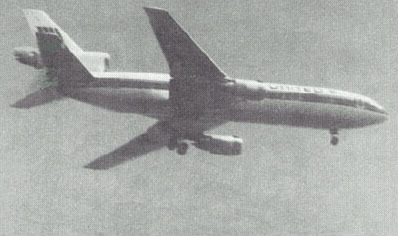 An actual photograph of the DC-10 that crashed, caught just before it's crash landing at the Iowa airport. 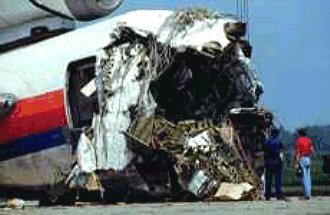 The damage to the tail section can be seen. 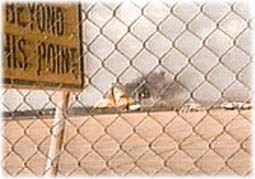 This is a still from a video taken of the crash landing. This is an aerial view of the crash scene. You can see the path of the crash landing, as it ends up in a corn field. This is the cornfield that I OBE saw survivors lost in. 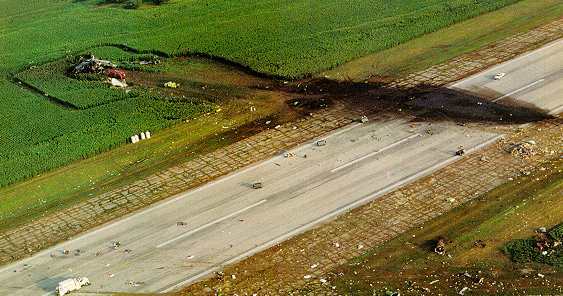 The aftermath of the crash, on the runway.